Comfort and classic style rolled into a fantastic shoe can be found in the Nirvana from Hotter Comfort Concept Shoes. They have been designing and making footwear for over 50 years and now you can buy them in the US. My mother in law was sporting some clunky shoes which I imagine to be comfortable but I wanted to surprise her with a pair of sleek Hotter shoes. The Nirvana shoes ($119) are a pair of slip on comfortable shoes that can be dressed up or casual. They are surprisingly lightweight and are crafted with impeccable detail. The cutout design with carved, wooden button gives this shoe a modern look. 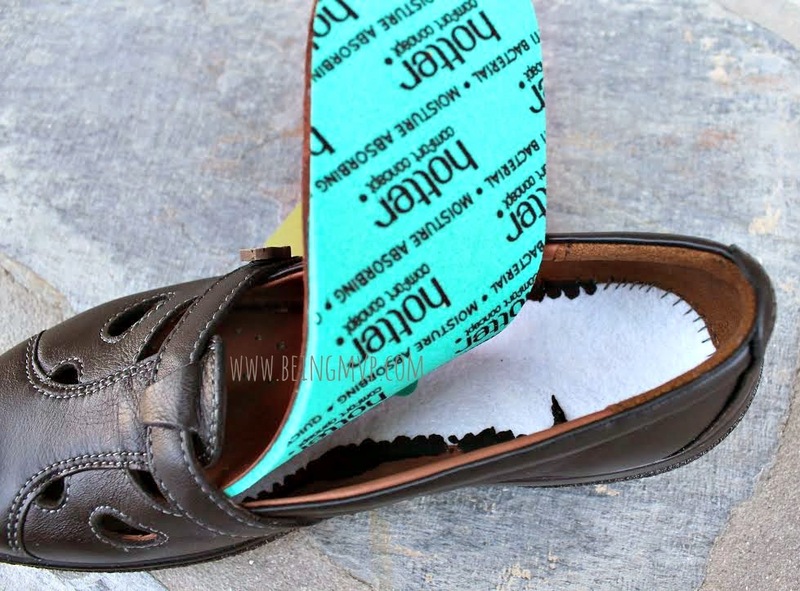 The foot bed is nicely padded for optimal support and the insoles are easily removable. 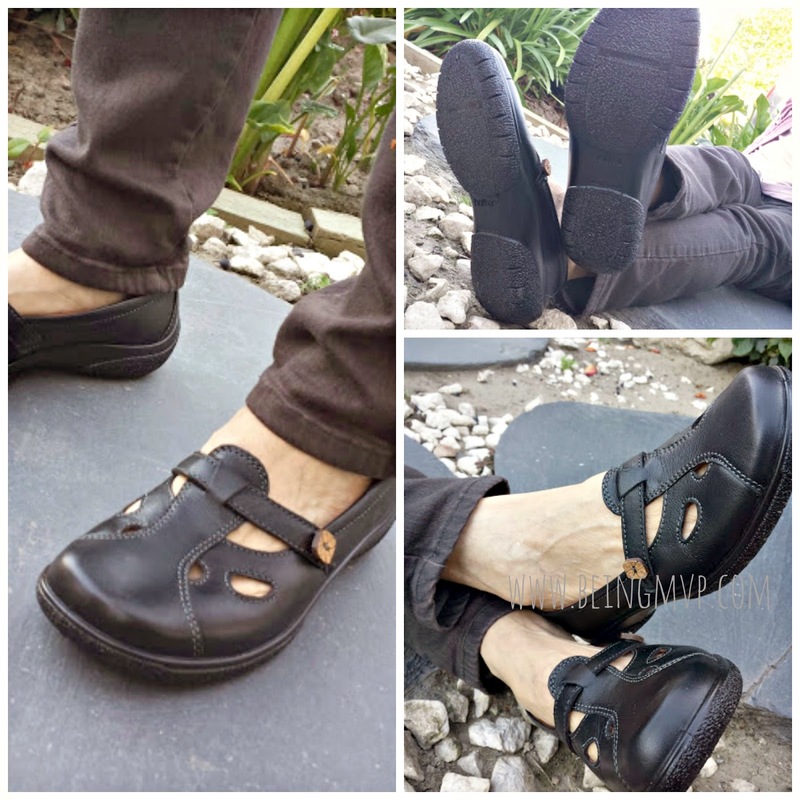 My mother in law found the Nirvana shoes to be extremely comfortable and stylish. They are great to walk in daily and the leather quality is fantastic. She usually wears a size 7 but is wearing a size 6 in this style as it does run about a full size larger. The Nirvana shoes come in additional colors: Cornflower Blue, Dark Aqua, Soft Beige and White. You can also get the standard fit width or opt for the extra wide fit. What's neat is if you are not 100% satisfied, you can return and get a full refund. Check out Britain's favourite comfort shoes brand, Hotter, and all their style offerings. 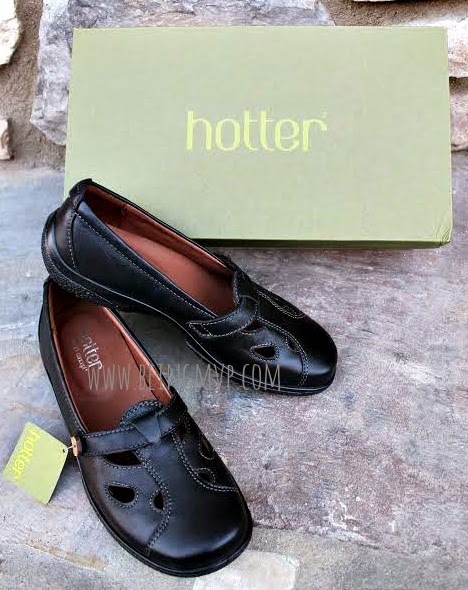 Make sure to connect with Hotter Comfort Concept Shoes on Facebook, Twitter, Google+, Instagram and Pinterest! One person will receive a pair of Nirvana Shoes! I also like the Scarlett Sandals. I like the MAISIE SANDALS in black! I like the Chloe Sandals in off white. Great shoes! I really like the MAISIE SANDALS. I like the Cruise peep toe florals. I also like the mabel shoes! I love the Cruise shoes! I like their Dizzy Shoes in Indigo. I would love to get the Inspire sandals in mid blue. The Clarissa Shoes in black are also snazzy! I like the EVIE SANDALS. I lke the Mirage sandals. I'd like the Jewel shoes in coral! I like the Victor Boots. I like the Mabel Shoes. I love the cruise shoes. I really adore the MAISIE SANDALS! The maisie sandals look adorable and comfortable. They also have really cute pairs of flats. All of the shoes look like you could wear them all day long! I like the uptown boots! I would love to have the CHANTEL SHOES in Ink Blue for the Spring! These look comfy and fashionable! I like quite a few of their shoes. I like the Leanna shoes active tennis shoes. I would love to have the black MAISIE SANDALS! I like the Tone shoes in Soft Violet, thanks! I like the Maybel shoes and Willow boots. I love the Hannah heels!